You’ve been with us all along for parts one and two, and in our third installment on our rental property blog, we’re going to look at some final tips on owning a rental property. The team at First Western Federal Savings Bank is the group of people you need to get the non-recourse loan you’ve been looking for. When used with your self-directed IRA, this creates an opportunity for getting a rental property, and advancing your financial portfolio. Our non-recourse loan lenders would love to work with you, and not just for getting your IRA loan in order. 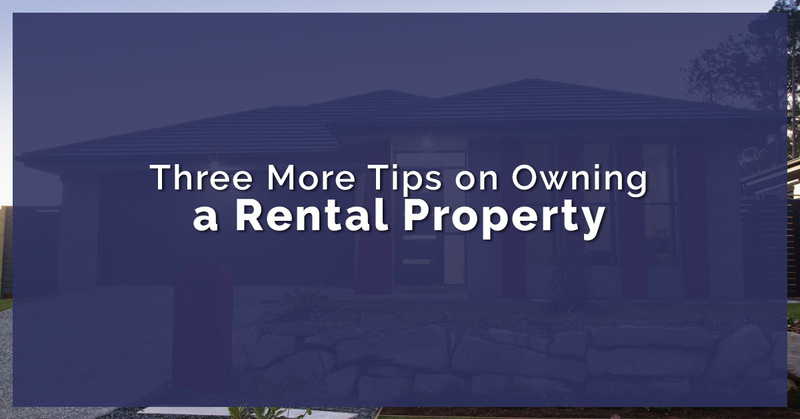 We’re providing a few more tips and tricks for making sure your rental property is set up for success, so that you can experience financial benefits in the long run. Check out some final ideas on making owning a rental property a beneficial endeavor, and get in touch with our non-recourse loan lenders today! Where we left off, we talked about setting up a reasonable price for your rental property, as well as marketing your property as a whole. This will likely result in potential renters contacting you with intrigue, and you’ll need to have some ground rules in place before you start having people rent out your property. It is absolutely necessary for you to figure out exactly what you’re OK with, and what you’re not, while also considering any housing or neighborhood rules as well. Do you want people painting the kitchen? Do you care about nails, screws, and hooks going into your walls? Is it OK for people to hang up lights? Are you going to take care of shoveling snow? These are just some of the things that you’re going to need to know. In fact, you might want to contact a lawyer to draw up a lease, unless you’re feeling rather lax and are alright with renters paying as they go. You should also figure out when you want rent collected—and how—as well as how you want down deposits to work. As another tip, consider whether you want potential renters to have renter’s insurance before moving in. There are countless things to consider when renting out your property, and truth be told, you probably won’t figure out all of them at once. But if you thoughtfully consider everything you can think of in advance, this will make a huge difference later on. Additionally, be sure that your renters are not only aware of the rules before they move in, but that they have consistent access to the rules as well. You should never try to fly something under the radar, and should always opt for transparency, but there will definitely be instances where documentation is crucial to refer back to. Emergencies and catastrophes are not something that anyone wants to think about, but prevention and being prepared can make a huge difference in the long run. Think about what you’ll do if there’s a fire, or if there’s a leak in the upstairs bathroom, or mold is discovered and your tenants need a place to stay. They have rights, and it’s essential for you to take their needs into consideration—from both a legal and, more importantly, a human perspective. Put aside a savings account that you contribute to regularly. This way,if you need to buy that brand new dishwasher or get the roofing replaced, the emergency will not be within your bank account. Ask anyone what they look for in a landlord, nearly all will say they want someone who responds to situations in a timely manner. Not only do people want problems to be resolved quickly, but people want someone who they know they can trust. Be honest and fair with your residents, and you’ll see the benefits long after they move out. There are countless things to consider when owning a rental property, but before you can even get started, you should know what needs to come First. At First Western Federal Savings Bank, our non-recourse loan lenders have the experience you need to help your future rental property get on track. Talk with our team today to get started!